I apologize my CB antennae is in the way. 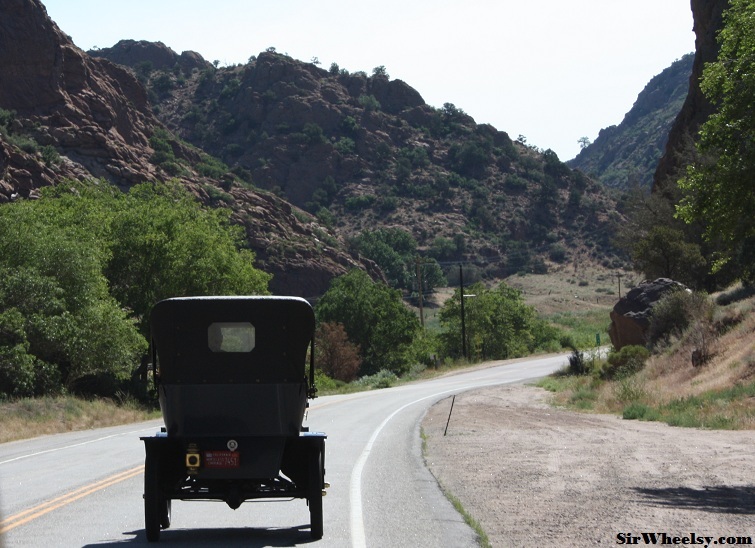 While en route from Lake City to Colorado Springs along historic Highway 50, with its breathtaking views of the Arkansas River, we were amazed to pull behind a Ford Model T. Highway 50 is one of the most scenic and fun roads in the United States, but it was even better with some antique cars. 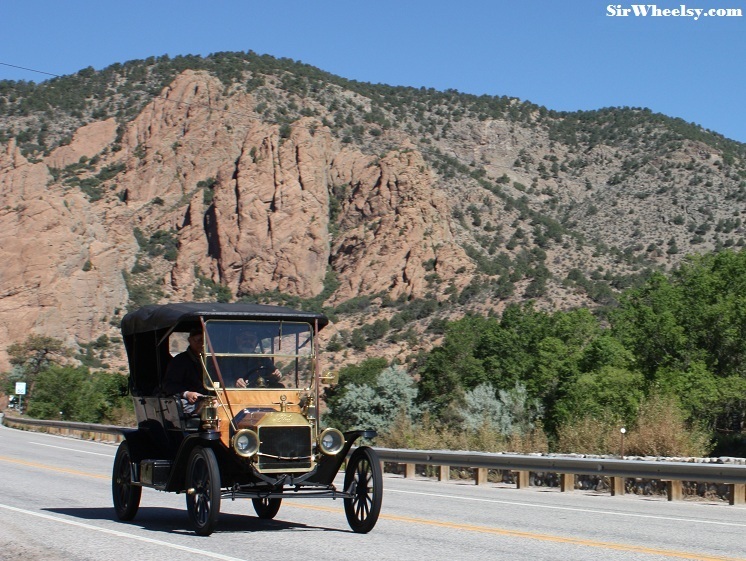 My friend, Oliver, and myself found ourselves on the road with The Horseless Carriage Club of America’s “Visit America” Tour. My head almost exploded from Transportation Geek Overload (GTO). 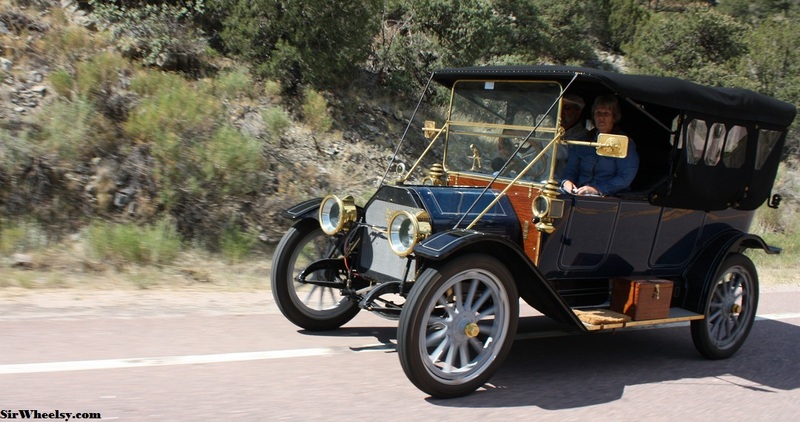 A few early automobiles or “horseless carriages” were clamouring along at 40 MPH. 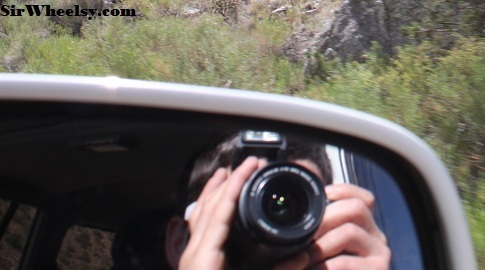 Mind you, this is a very tight and twisty road through the mountains that’s not super easy in a modern vehicle. 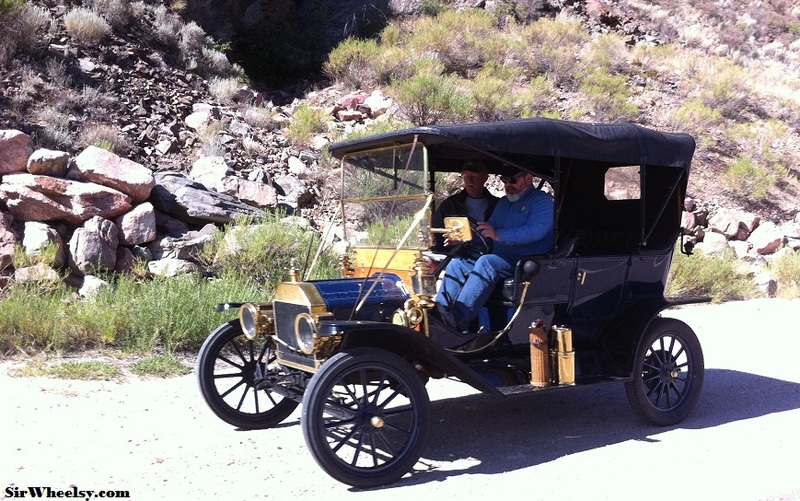 We spotted them around Cotopaxi, Colorado and they had already driven over 1,000 miles from San Diego, California. 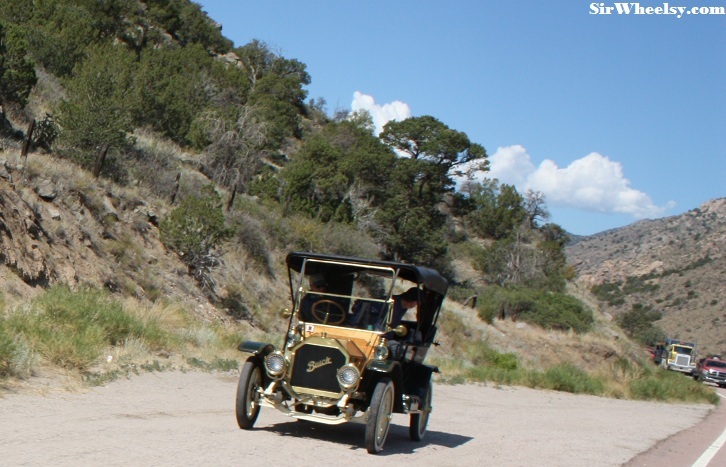 The Horseless Carriage Club of America is a nationwide motoring club whose focus is Brass Era Automobiles manufactured prior to 1916. 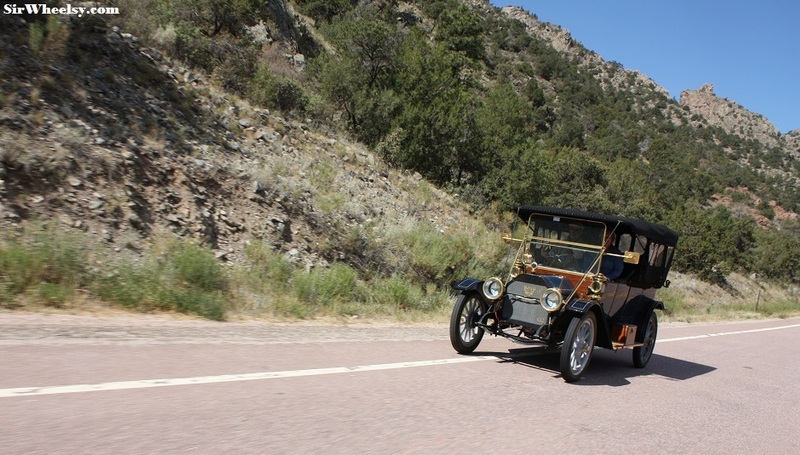 Their goal is to “preserve originality or restore these automobiles to their original condition, use them for their original purpose of driving and completing tours, and promote the preservation of their historical value” and I’m pretty sure these guys met that goal. The Visit America Tour is part of the 75th Anniversary of the HCCA Club. A Buick pulling over to let cars pass. 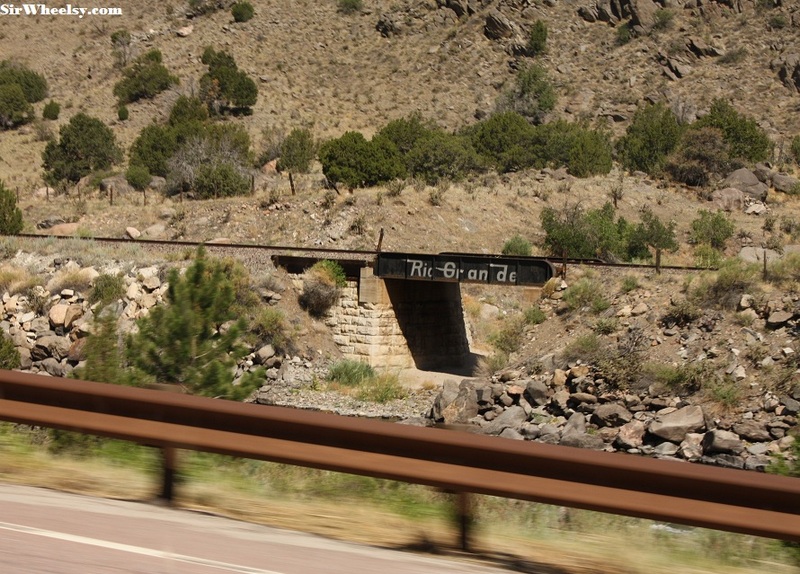 Denver & Rio Grande Railway's bridge from our moving vehicle. 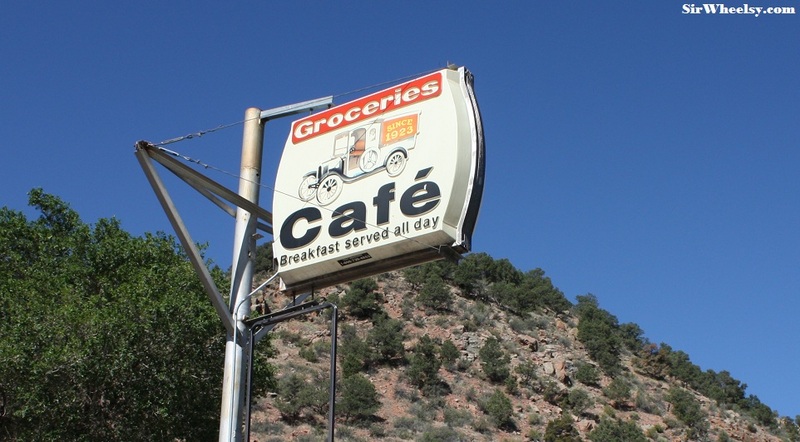 I thought this sign was very appropriate. We pulled over at the Cotopaxi General Store to take pictures of the cars putting by. 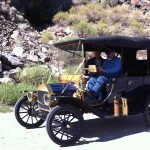 This entry was posted in Uncategorized and tagged antique, horseless carriage, model t by GranT urismo. Bookmark the permalink.